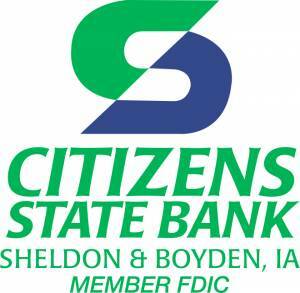 Citizens State Bank, 808 3rd Ave.
Take part in the Community Blood Drive hosted by Citizens State Bank! Join us on Friday, April 26th from 10:00 a.m.-2:00 p.m. The Community Blood Mobile will be parked in the front of Citizens State Bank as well as in the back parking lot. Your donation is greatly appreciated!